As well as being the very first step in my make up routine, covering my dark circles is also one of the most important. I have such a complex with my panda eyes that I actually go back and cover them a second time before I set my entire face with powder. That being said, I am always on the pursuit of a miracle under eye product that'll "give the impression" (for one to realistically do so might be hopeful wishing) that I've banished dark circles once and for all, and this one does a pretty good job! I know this particular concealer has been floating around the US for a while now, so I was eagerly anticipating its arrival in the UK. When the day finally came it was sold out EVERYWHERE, and I spent a good 2 weeks popping in and out of UK drug stores until they finally populated Maybelline counters once more (hooray!). This concealer treats the under-eyes with a combination of Goji berry and Haloxyl to reduce the look of puffiness and shadows, and is one I've been using for several weeks now with good things to say! First of all, the formula and consistency of the product is so lightweight you can barely feel it on your face making it a dream to blend in. At the same time it gives a really satisfactory medium coverage with noticeable luminous effect. I chose shade "light" only because the other alternative was medium (both in Boots and Superdrug), fortunately there really is a lot to brighten up underneath my eyes and I find that it's a good match with my foundation. One thing I particularly love about this is the sponge applicator. I've used many an under-eye concealer with doe foot applicators and find them too harsh and hard (almost painful), considering the under-eye area is the most sensitive part of the face. 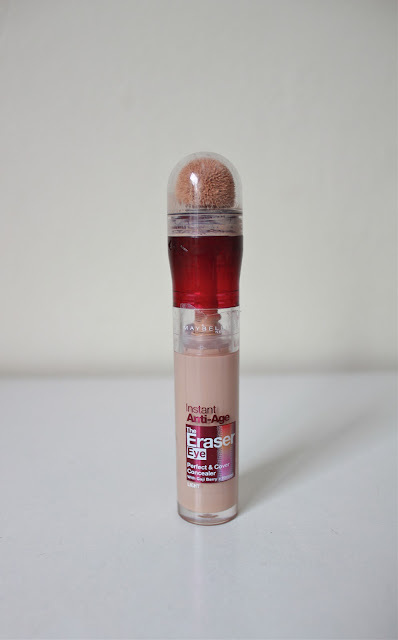 The sponge tip of Maybelline's The Eraser is in comparison, incredibly soft and gentle upon application. Although not one of the most hygienic applicators, it's definitely the softest. All in all, I will be repurchasing, coverage and application feels and looks great for a price of £7.99 at Boots. On the other hand, I'd like to see a wider range in shades, and with the sponge soaked in product after several uses, it proves difficult to gauge how much product you're actually dispensing into the applicator with the click mechanism. is this long lasting? ive wanting to try this but not sure how well it is with oily skin ><"
Good review! And cute blog!!! =^-^= Would you like to follow each other on bloglovin' and gfc? I shall follow you right now! thanks for the review/recommendation, glad to know its light weight. 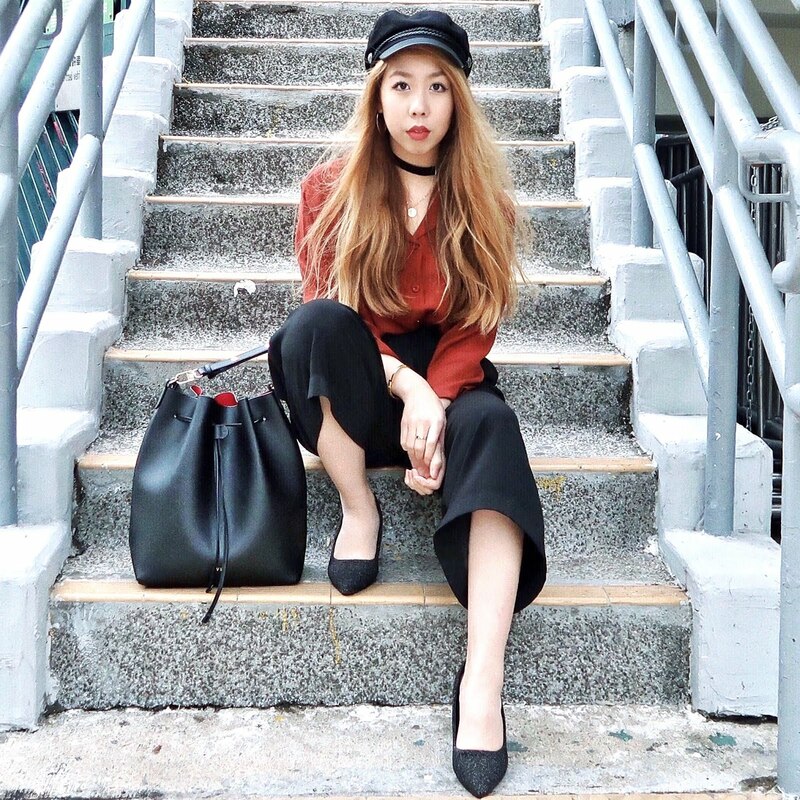 amazing style and blog as well, perhaps you would like to follow each other on GFC? please feel free to check out my blog and let me know if you'd like to. Thank you for following my blog on GFC! However, GFC isn't working for me atm but ill make sure to come back and follow on GFC when it does. In the meantime I am following your blog on Bloglovin' and Twitter. I must check that one out! I'm currently using Revlon's Photoready (stick) concealer, and it's coverage is amazing. It is quite heavy though and does nothing in terms of reducing scarring. From time to time I'll use only the Super Beblesh Balm BB cream as a concealer of sorts, it helps with whitening and lightening. Otherwise, I'd concentrate more on skincare and face masks to reduce scarring. wow that sounds so great! Oh.. it looks really nice!! Would you like to follow each other on Bloglovin and GFC? Let me know! © 2014 VIVIYUNN. Powered by Blogger.